Jack Isch died in Okla. City April 23, 2017 at the age of 82. He was born June 26, 1934, Grimes, OK to Herman and Nina Campbell Isch; graduated Reydon, H.S., 1952. He earned a B.S. and M.S. degree with honors and CSU, Edmond and an Ed.D (Doctorate in Education), 1983, Oklahoma University. He served in the Army, 1960-62, stationed in Germany. The 4th of 7 children, he grew up on the family farm and dairy near Reydon – Roger Mills, Co. As a student, Jack excelled in science and chemistry. In his first teaching position at Taft Jr. High, he conducted auditorium sized science classes using large class projects as teaching tools. He taught 8 years at Durant H.S. and had several gifted students he encouraged to pursue science careers. Some remained in touch and meant a lot to him over the years. Jack moved to Norman to complete doctoral requirements at OU, and entered the field of public school administration, serving as Adm. Assistant to the Supt., OKC Public Schools. 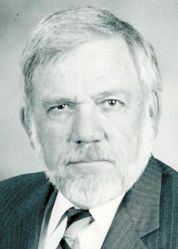 He retired in 1991 as Director of Service Center Operations. He devoted much time to his beloved “urban farm” where he had an orchard, a green house, and raised and preserved large quantities of produce. He was preceded in death by his parents, Herman and Nina, and brothers Billy and Ira Lee Isch. He is survived by his wife Judy, and step-children Don and Melinda McAlpin, Deanna and Dana Cochran, Randal and Cori McAlpin and their combined seven grandchildren and eight great grandchildren. He is also survived by his two daughters, Anita Isch Whittaker and Jim, two granddaughters-Shauna and Jamie and six great grandchildren; and his daughter Jerri Isch Davis and Paul, and two grandsons, Trey and Campbell. Surviving brothers are John, Lonnie, and Joe Isch and sister, June Tice Allen and many beloved nieces and nephews. Our family would like to thank the physicians and staff at Deaconess Hospital for their compassionate care.